The World’s Fare is coming back to New York City but this time as a food festival, which automatically makes my foodie heart sing. For a whole weekend, you get to sample the Diversity of NYC restaurants most of which are mom & pop shops. Not too long ago, I visited GFG Bakery and my mind was blown! They have so many delights flown in daily from Greece which truly makes this place special. Not only is the food bomb but the service, the ambiance, and managers are bomb as well. Luckily, I got to take home a goodie bag, which included some fresh Greek Oregano and Thyme. Now hold up—you guys know that I am RIDE OR DIE for Dominican Oregano. Its tangy citrusy flavor is home to me. I keep tons of it on deck in my spice cabinet. Funny enough, I use Dominican Oregano so much that over the years, I stopped stocking good ol’ regular Greek Oregano. Now don’t get me wrong—I have nothing against Greek Oregano. It’s just not a spice that I keep in my regular arsenal of spices. So when I got my hands on fresh, authentic Greek Oregano, I immediately smelled it and knew I needed to cook with it. In case you’re wondering, Greek Oregano is much more herbaceous and lighter in flavor that Dominican Oregano. While the two are cousins & related, they taste and smell completely differently. There’s no mistaking the two. Dominican Oregano is bold and in your face yet fruity and playful just like the Caribbean. Greek Oregano is classic, herbaceous, & simple much like the Mediterranean. 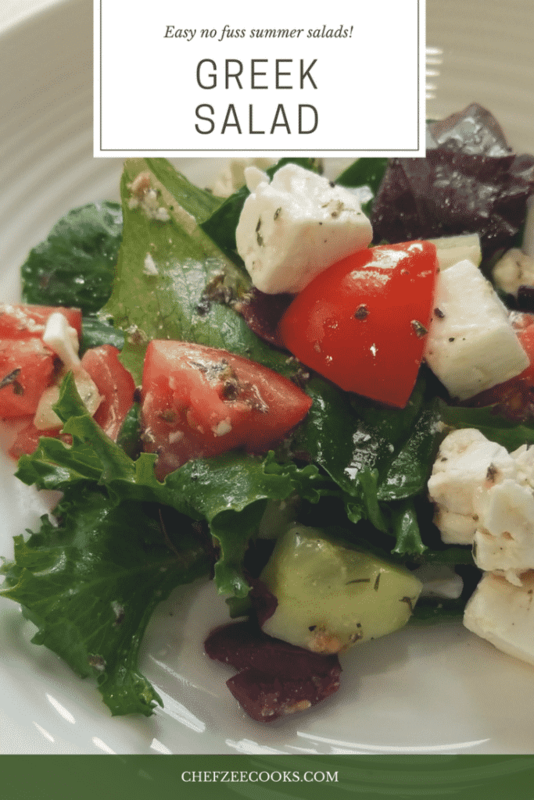 Unsurprisingly so, I’ve been making Greek Salads in HEAVY rotation the last few weeks and I’ve finally created a recipe that I love. Might I also add—this recipe happened completely by accident. (Aren’t all great things accidental?) It’s simple, easy to make, and an olive lovers dream—don’t say I didn’t warn you! 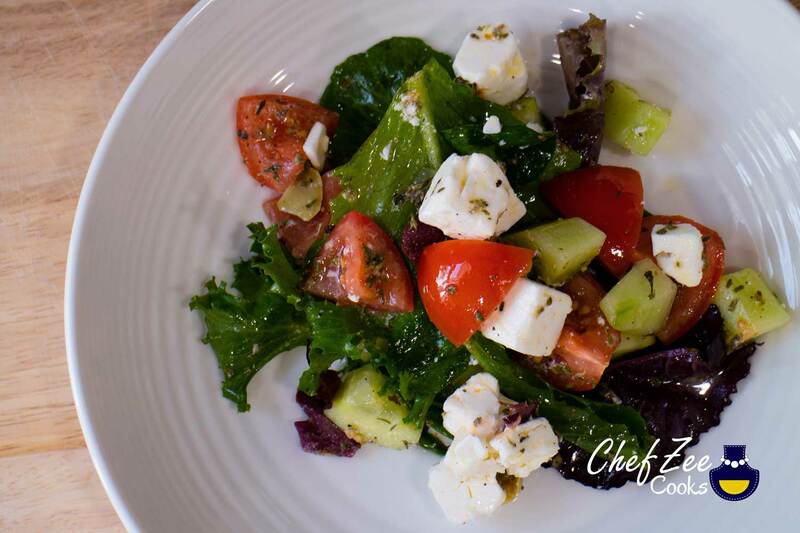 Note that in order to get the most out of this salad, let the cucumbers, tomatoes, and olives marinate for 20 minutes before adding your leafy greens. Dice cucumbers, tomatoes, olives, and feta. Place into large bowl. Now add green leafy veggies and drizzle olive oil. Mix together & enjoy. Feel free to enjoy with grilled chicken or shrimp.